Daniel Ricciardo is learning the hard way what life’s like outside the 'big three'. 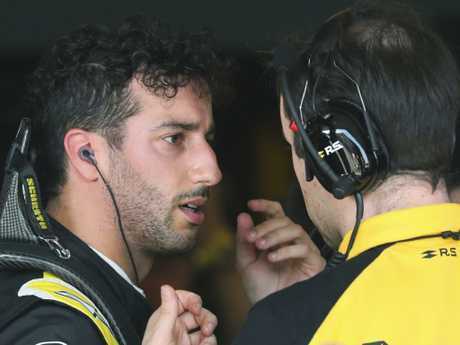 RENAULTboss Cyril Abiteboul has suggested Daniel Ricciardo will need to adjust to life outside the 'big three' quickly if he's to accept where he sits in the F1 pecking order and the consequences that come with that. After quitting Red Bull to join Renault in 2019, Ricciardo suffered a horror start to his time in the back and yellow. 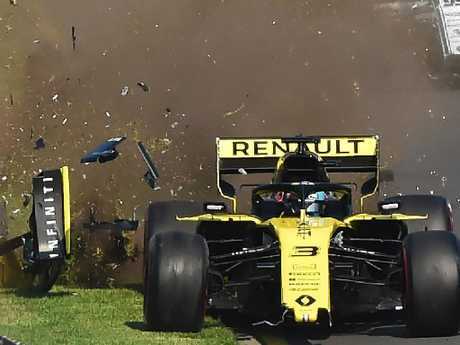 He veered off the track just seconds after the start of the Australian Grand Prix on Sunday and hit a gutter, which ripped his front wing off. He quickly went from 12th on the grid to 19th, was forced to head to the pits early and was lapped by eventual race-winner Valtteri Bottas. 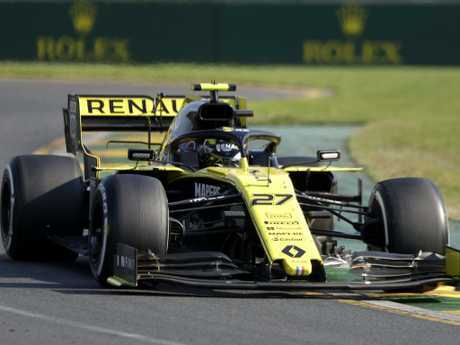 Ricciardo's cursed run at his home grand prix then got worse when he was forced to retire after 32 laps with car problems - the third time he's failed to finish in Melbourne. Speaking afterwards, a frustrated Ricciardo lamented his preparation for the race and said he'd tried too hard to please everyone with media and sponsors commitments. "I'm just drained," he said. "I try to please everyone this week and I don't look after myself so we'll change it for next year. "We should be a top-eight car. 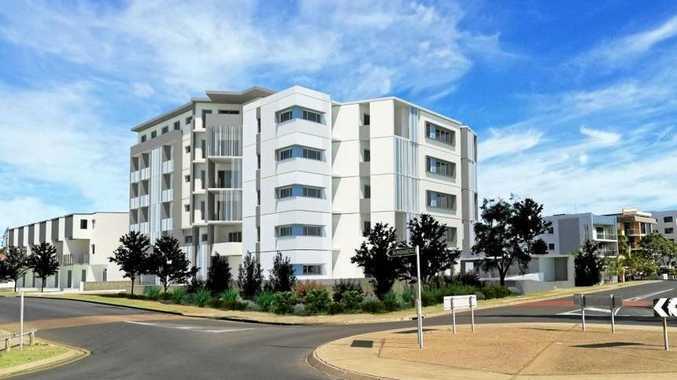 Bahrain will be a lot easier. It will be like a holiday week and l can prepare properly. I don't feel my preparation was where it ought to be here because l was trying to please everyone." Although not expecting to challenge for a world title any time soon, Ricciardo believes Renault has the car to be the best performing team outside of Ferrari, Mercedes and Red Bull. Ricciardo had a horror start, at the season-opening Australian GP, bowing out after coming unstuck at the start. However, Abiteboul said his prized new recruit may need to develop a "harder skin" as he acclimatises to life in the midfield, and bide his time more at the start of races. But the Renault chief is confident things will improve as Ricciardo learns more about the way the team operates. "It's not that he underestimated it, but as a midfield team we do not operate in the same way as a top team," Abiteboul said. "Maybe Daniel will have to get a harder skin and some more patience at the start. Ricciardo's teammate Nico Hulkenberg finished seventh but Abiteboul left Melbourne disheartened with a frustrating overall performance. Nico Hulkenberg was also forced out. "Let's be honest, I can't say that after the weekend we had together," Abiteboul said when asked if Ricciardo had delivered what was expected of a driver of his calibre. "It's a collective performance. It's a weekend mainly of lows, apart from glimpses of a very good and strong performance from him and the car in free practice, but in free practice we don't care. "We need collectively to do better. It's a learning exercise, as we always say. "When you change driver you make some steps backward before you step forward. That's what we're going through as we speak." "It's not the start that he wanted, it's not the start that we wanted, but we know that we can make it so much better and so much easier if we get things right in qualifying." Already Ricciardo’s learnt a harsh lesson about no longer being at Red Bull. 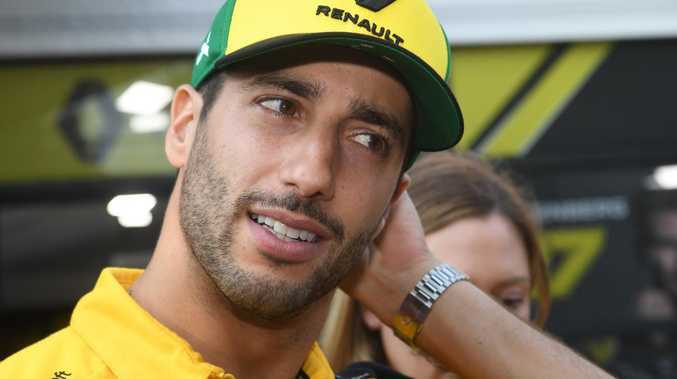 While Abiteboul said it was "a bit strange" for a gutter to be hiding under the grass where Ricciardo veered off, he also said it was "not necessarily a place where the car is supposed to be" in the first place. If anything showed the gulf between where Ricciardo used to sit with Red Bull and where he stands now, it was the performance of former teammate Max Verstappen. The Dutchman proved on Sunday there was genuine pace in the new Honda-powered Red Bull after finishing third, with the young gun "very pleased" at how his car performed. Red Bull switched to the Japanese manufacturer this year after ending a fractious relationship with Renault, who supplied the energy drink team's power units previously, and it appears to be paying off. The feisty 21-year-old was well adrift of runaway Mercedes winner Valtteri Bottas in Melbourne, but he pushed Lewis Hamilton hard and finished an incredible 35 seconds ahead of the lead Ferrari of Sebastian Vettel. Max Verstappen edges past Sebastian Vettel into third. 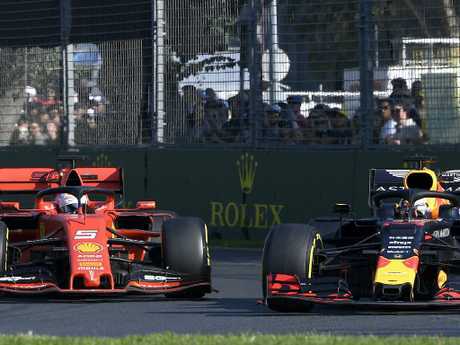 "In terms of speed we had throughout the race it was a very good step forward from last year," said Verstappen, who finished fourth in the drivers' standings last year. "I'm very pleased with that - the engine has been performing well without any issues. We have made good progress and positive things are coming. "We have been working very well together (with Honda). Valtteri was very far ahead still, but it was a good result and we have to work hard to close the gap." Ricciardo admitted the change to Honda power was a risk by Red Bull, which formed part of his decision to leave because he would have regretted staying if the change-up didn't work. But it was all smiles on Red Bull's side after its first official hitout with Honda as the Japanese manufacturer secured its first podium finish since 2008. Such was his power that Verstappen was able to audaciously overtake Vettel midway through the race, before hounding Hamilton without finding a way past. Ferrari had been the pre-season favourites after performing well in Barcelona testing, but Verstappen showed Red Bull can be a contender this year.